Hello! Nice to be back creating at my newly tidied and decluttered craft desk this week. Still some piles to finish sorting in the dining room but the desk is all set up ready to go. Tonight the Art with Heart team are sharing creative projects using product from the occasions catalogue. The occasions catalogue is current until June 3rd. Request your copy of the catalogue and saleabration brochure today. Sale-a-bration is also a great time to join our fabulous team. Ask anyone on the blog hop if you’d like more details. I enjoyed having a play with some new favourites from the Occasions Catalogue and some Saleabration freebies too. Butterfly products always make their way into my shopping cart. Base: Whisper White Thick. 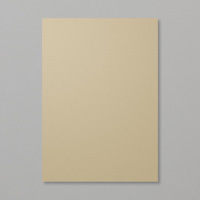 This and shimmery white are my two favourite cardstocks I think. 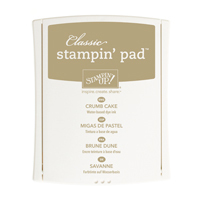 The smaller white layer is embossed with the beautiful new Lacy Dynamic Textured Embossing Folder. One of the thick ones so you only need one acrylic plate when embossing. I've matted it with the coordinating colour Grapefruit Grove to tie in with the colours in the butterflies. I've punched the butterflies from the Saleabration Botanical Butterfly DSP using the Butterfly Duet Punch. 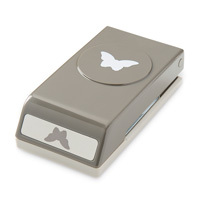 Several of the sheets have butterflies that punch out using this punch - quite handy. Especially on hot days like this when I'm looking for a few shortcuts. There is a beautiful butterfly stamp set that coordinates with this punch too. It looks nice if you curl the wings a little. A bone folder would work but I just used my thumbnail. The wooden elements are from Butterfly Elements - another one of your freebie choices with a $90 purchase. I love these - it has butterflies, flowers and leaves. Be careful with the leaves - they're delicate so a nice gentle touch helps. (Ask me how I know - ha ha.) I've used glue dots for the wooden bits and punched butterflies. For a little added sparkle I've popped on some of the self adhesive gingham gala sequins. I've been using sequins much more since we've started carrying adhesive backed ones - makes it much easier. I decided to leave off a greeting so it can be an all occasion card. I think I'll add a greeting inside when I send it to someone. Now it’s time to hop on over to our next participant, our talented team leader, Claire Daly. A lovely bright and happy spring colour for you this week on our AWH Colour Creations Blog Hop. We are up to Daffodil Delight and I thoroughly enjoyed making a nice cheerful card with it. Keen to see some more projects featuring this colour. There's a link down the bottom of this post. I was inspired by a Janet Wakeland video to use some of our new Foil Edge Cards and Envelopes. (Page 11 of the Holiday Catalogue.) Don't they make a lovely base and an effortless silver trim there. I cut my Daffodil Delight cardstock to 4" x 5 1/4". Cut it a little smaller if you'd like more of the silver border to show through. The embossing folder is Swirls and Curls (pg 5.) This was the perfect time to grab out my Beautiful Day stamp set and give the butterfly a whirl. I embossed it with silver embossing powder then coloured it using my Stampin' Blends - Daffodil Delight and Pool Party pairs. This stamp set is a great one if you're just getting started with colouring. Nice big sections to colour - you can't go wrong. I coloured some sections with the pale colour of the pair, then added a little bit of the darker shade - just plonked it on along the edge of the section. Go back over the join with the pale colour and it softens the edge. I've given our new Chicken Wire Elements a whirl too. (Find them on page 43.) Nice for a little touch of silver. Just snip off the amount that you want or use the whole piece. We'll be back next week with the next colour on the list. Over on my brand new team facebook group page we've had a bit of a party weekend with challenges and prizes and lots of fun. I decided to try cutting one of the big butterflies from watercolour paper. Then I selected some reinkers (inspired by some of the colours in the print.) So Saffron, Lost Lagoon, Cajun Craze, Blackberry Bliss and a touch of Basic Black. I sprayed the butterfly with water and dripped reinkers. Now leave it to dry. In the meantime I quite liked the leftover blobs of watery ink. I decided to pop a piece of naturals white cardstock under my damp inky base paper and press. I added some stamping using the Butterfly Basics stamp set. I REALLY love the netting stamp from this set and the dashed border too. I used the greeting from this set as well. I really love this card. Can't wait to try it in some more colours. Tip: Use lots of the lighter colours and only the TINIEST bit of the darker ones - the dark ones really take over. I enjoy cards where they turn out differently each time and there's an element of random in how they end up looking. The mini treat bag thinlits are great for cutting patterned paper to quickly put together this little bag. It is just the right size to fit a couple of our note cards in. Or some other small treat. I made this one using the elegant Something Borrowed DSP. This paper is in Sahara Sand and White. I used some more on the little note cards I popped inside the bag. I've used the crumb cake note cards. Quick and easy to add a panel of patterned paper, some ribbon trim and a butterfly. That's the new white jute ribbon on the left and the beautiful sahara sand lace on the right. The butterfly is in Early Espresso. My extra, extra long 100th edition of my newsletter went out to inboxes overnight so keep an eye out for that. If you'd like to get my newsletter with card ideas, memory keeping inspiration and all the latest Stampin' Up news - there's a sign up box at the top right here. We're making this card at class this week. I've got 2 spots left on Thursday night (7.30pm - 9.30pm) if you're free and would like to try some colouring. $30 includes a pack of Cherry Cobbler Blendabilities to use at class and take home afterwards. Happy stamping and have a great week! Doing some shopping? Here's what I used in today's card. Last month at class we used several of the stamp and punch bundles. This card featured the Six Sided Sampler bundle which is one of my favourites. Colours are Smoky Slate, Coastal Cabana and Strawberry Slush. Here's another variation using the same colour combo. I think these cards were inspired by something I saw using google images or pinterest but I can't seem to find it now. I'll be back to link if I track it down. In Colour Ruffled Ribbon - love this nice stretchy, ruffled ribbon. About time for a card I think. This one is my Grand Vacation swap. I made 21 of these - one for Stampin' Up to keep and 20 for the swap. The card features Smoky Slate, Basic Black, Blushing Bride and Shimmery White cardstock. Products: The background is done with Gorgeous Grunge stamped in Blushing Bride and Off The Grid stamped in Versamark and embossed with a mixture of the new Smoky Slate embossing powder and some Dazzling Diamonds for added sparkle. Plus Swallowtail stamped in Stazon Black and coated with lashings of Crystal Effects. (Leave overnight to dry - don't be tempted to check earlier or you'll get fingerprints. Ask me how I know!) Some of the new chevron ribbon in Smoky Slate to finish. Can you see the glossy finish on the butterfly? Here's another view. I handed in my pack of swaps on the first night at St Regis, and a couple of days later got my pack of swaps back with 20 gorgeous creations from some of my fellow demonstrators. It was fun looking through them all. Here's a peek. See you soon with some more creations. Still playing with my big butterfly stamp. Here's another card I made with the technique I mentioned yesterday - painting shimmer paint over an embossed image. I punched some extra butterflies - one with vellum and one with the paper filter paper. (You need to pop some cardstock under the filter paper to punch it cleanly.) These looked great with a bit of shimmer paint as well. I embossed the greeting onto vellum as well for a nice translucent greeting panel. The Seasonal Catalogue mentions this lovely technique for adding some shimmer. Emboss the butterfly with the new Pool Party embossing powder and heat with your heat gun. Then paint on a bit of Champagne Mist Shimmer Paint. I used an aquapainter or you could use a little paint brush. Other Details: Naturals White base card, Midnight Muse panel matted with Brushed Gold. I'll be back tomorrow with another variation. At my February classes we experimented with the Faux Metal Technique using kitchen foil to make a snazzy, shiny feature for our cards. This next one is a little the worse for wear - 'scuse the wrinkles! My newsletter readers - I popped some step by step photos and instructions for this technique in your March newsletter. If you'd like to subscribe to my newsletter for all the latest Stampin' Up news, some technique tips and a good smattering of cards - you can find the subscribe button up the top right there. Just enter your email address and press go. Julia is a class regular who always makes gorgeous cards. She's got a real flair for designing and arranging the components in an eye catching way. I love seeing what she comes up with. She used Rich Razzleberry and the Swallowtail stamp for her Faux Metal class card and I liked it so much I made a bunch of them after class to send out to friends. Here's Julia's card. Thanks for being a special blog guest Julia. If you've got your eye on any of the Saleabration freebies, you've got one more week left to pop in your order. One free product from the 19 options with every $100 purchase. Details here. If you're keen to take advantage of the bonus 25% in the starter kit, join as a demonstrator before March 22nd and get $294 of products (choose any current products) for just $169. Bargain. Click here to join my team today. Happy stamping and have a great weekend. I'm ridiculously happy about getting reacquainted with my doona now that the long hot spell has come to a finish. What a beautiful day it is here today. Hope the weather in your patch of the world is smiling on you too.